Each time your child enters our class, it's an opportunity to hear and learn of God’s love, grace, and mercy. Zion Lutheran Church is your partner to make sure your child hears and learns about our Savior, Jesus. Sunday School at Zion provides a comprehensive presentation of the Bible over the course of three years. The lesson materials we use have Christ-centered content and solid theology. Every Sunday, you can be sure your child(ren) are hearing the message of God’s love and forgiveness through Jesus. 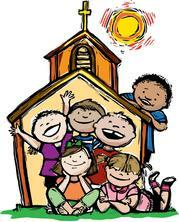 Beginner Classes (age 3yrs – Kinder) meet in the Church Fellowship Hall. Parents are to drop off and pick up. Upper Elementary (grades 3-5) meet downstairs in the School Music/Band room. There are also Jr. High (grades 6-8) and Sr. High (9-12) Bible Classes as well as Adult Bible Classes.